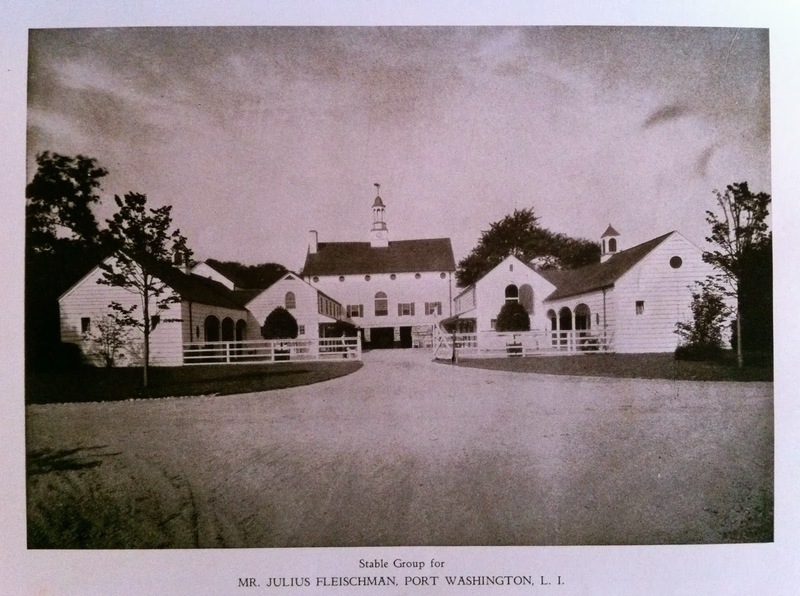 The James O'Connor designed stables complex to 'The Lindens', the Julius Fleischmann estate designed by Augustus N. Allen c. 1910 in Sands Point. Click HERE for more on 'The Lindens'. If the movie was "Mr. Blandings Builds His Dream Farm Group", this would be it, all Hollywood ready. Any guesses as to where this sat? It's not there now. Looking at old maps and aerial images I would guess across Middle Neck Rd? Although I don't think the road running left-right would be Middle Neck Rd. My guess is approximately where Vanderbilt Dr. now sits. Hey hey, what's the deal with that house across Middle Neck Rd with the tile roof? Not the really big one that looks like it ran away from Calabasas, but the one just north of that.